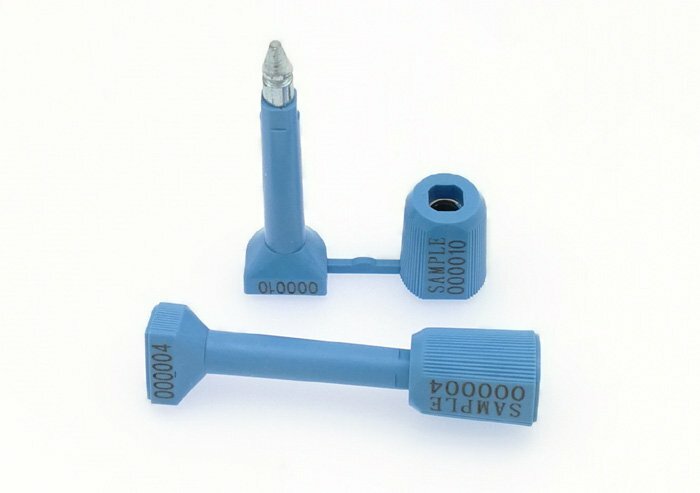 The shipping bolt seal is easy to use by hand, so it’s convenient for the ones who need to lock the container doors. 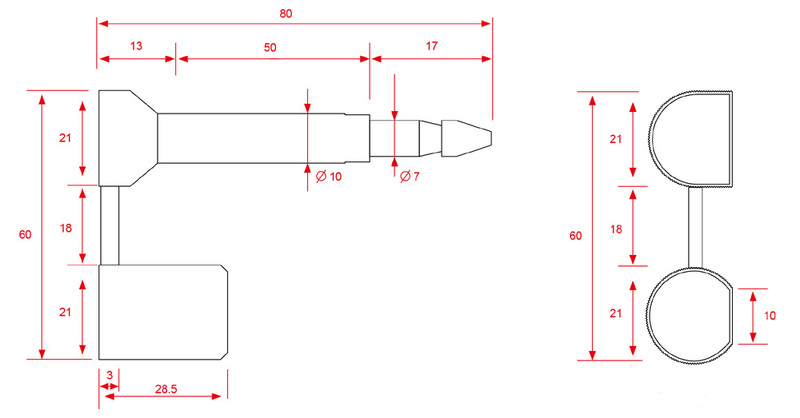 The container bolt seals are mainly designed for the container/truck/cargo transport. It’s available to custom the colors or printings of the high security bolt seals. They are mainly used in various containers/trucks/cargo doors etc. The bolt security seal is certificated by ISO PAS 17712,it is made of low-carbonized steel body covered and ABS. Pull load of the shipping container seal: More than 1350kgs. 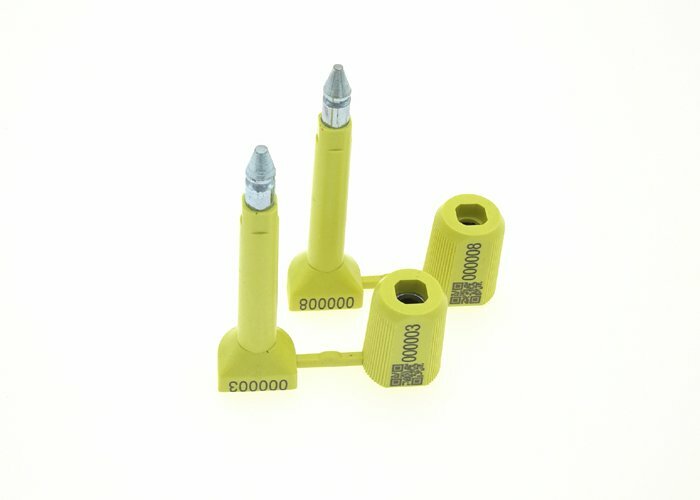 Company logo/name, serial numbers, bar-code can be printed on the transport bolt seals. 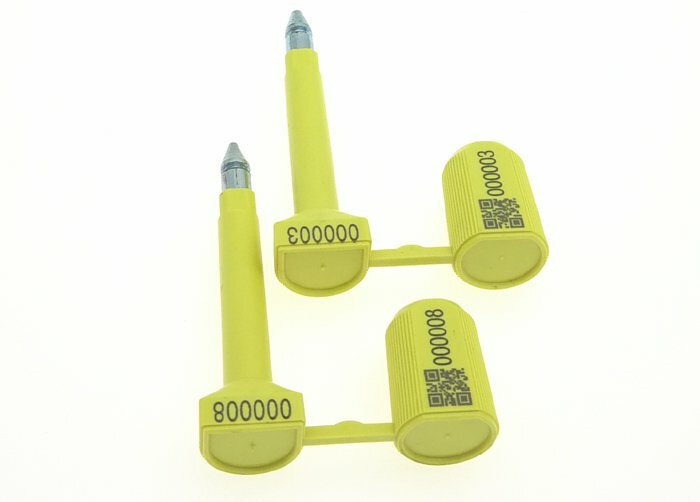 Yellow, white, orange, blue, green etc can be done for the high security seals.